I believe going with your gut instinct is best too! I did different things with all three of my children. They were all different and the mom knows the kids best!! I’m all about gut instinct! 🙂 That’s a really good point about things being different with different children too, I hadn’t thought about it like that, but it definitely makes sense that what worked with one baby might not be right for the next. Brilliant Em 🙂 Love it! My twin brother and I weaned ourselves — I know my mom would’ve enjoyed having us nurse longer, but kids know when they’re ready to move on. How did I not know you have a twin?! 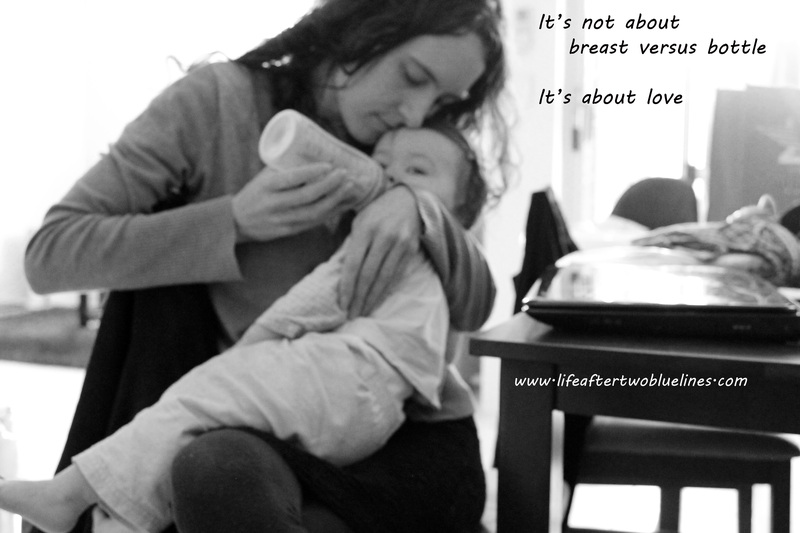 Yeah, I think lots of (not all of course) breastfed babies wean themselves and often sooner than mum would like – they stop being babies so darn fast! Bravo! 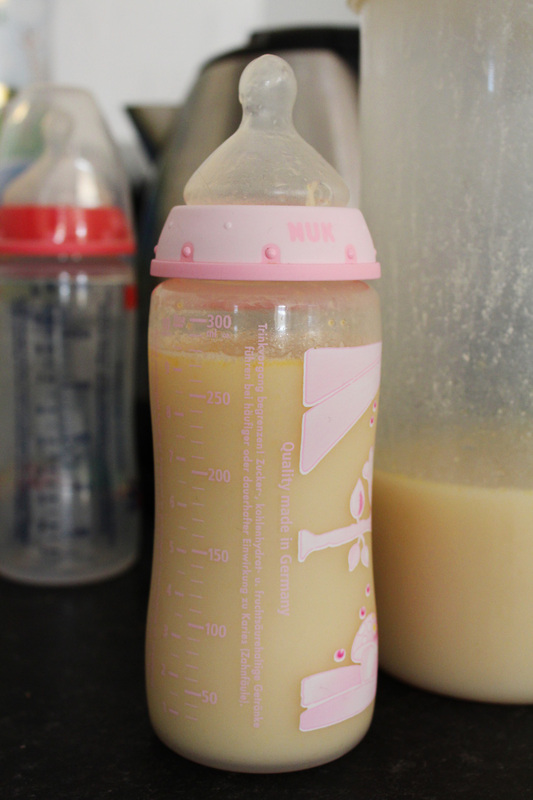 I bottle fed my son and I struggled with guilt and shame and now I am so completely over it. I would exclusively formula feed again. It’s liberating to acknowledge your best is different from other moms. I just hate how stigmatised bottlefeeding has become! I’m all for supporting and promoting breastfeeding in a positive way – but that guilt and shame you describe… no one should ever have to feel that for nourishing their baby to the best of their ability. Hi there – great post! I am am generally an AP parent, I bottle feed, and I also struggle with when to wean by son who is no 20 months old. He just isn’t ready. 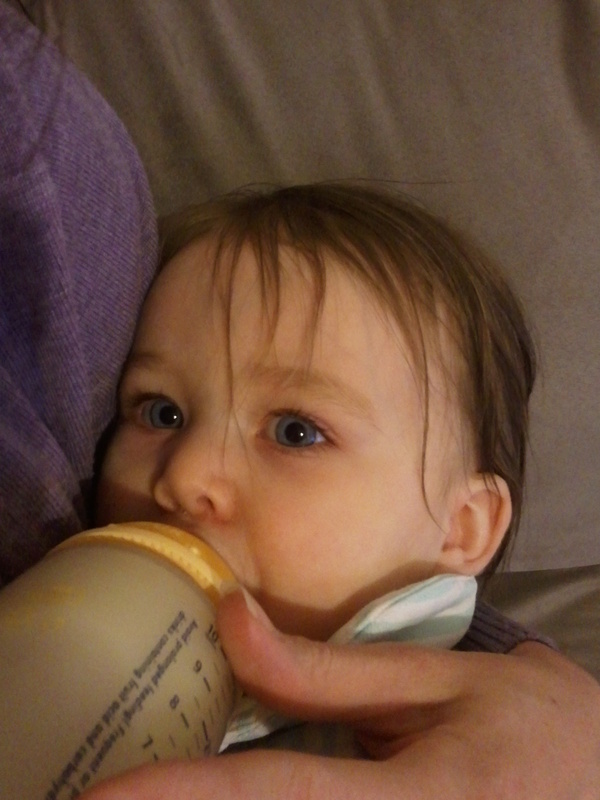 I’ve had gone through weaning with two older kids and each child is different. But like you, I want it to be when my son is ready, not when some book or “expert” says it should happen. Lovely to read your blog! I hate to see babies who really aren’t ready be forced weaned (whether from the breast or bottle) due to pressure from outside the family. It’s up to each family to decide what’s working for them. And I see so many families really pressured to have the baby off bottles/pacifiers BY 12 months due to tooth decay concerns and mouth formation (this is per the pediatrician). Yet I don’t see a lot of evidence to support that conclusion necessarily. One concern that I do have with extended bottles/pacifiers is how/when they are used. With breastfeeding, there are set times because it’s limited to the mother needing to sit down and participate. The baby can’t go along all day with the breast in his mouth while walking around, playing, talking (although many will try 🙂 ) But with bottles and pacifiers, the child can have it in their mouth constantly all day. I can potentially see that as a problem for the teeth (but then so is a sippy cup full of sugary juice all day long), but one that most conscientious parents would watch out for and avoid. I would think the medical/parenting community would be better served with helping parents use those tools instead of just saying they have to GO by 1 year of age. That seems unreasonable and does not taking into account the vast range of needs that are normal for young children. How do you make homemade formula? I’m actually thinking of writing up a post with the recipe Kate, keep an eye out! Your post has helped me process some of my feelings about shOuld we or shouldn’t we try to wean her frOm bottle… No, we won’t. She finds comfort in it! !